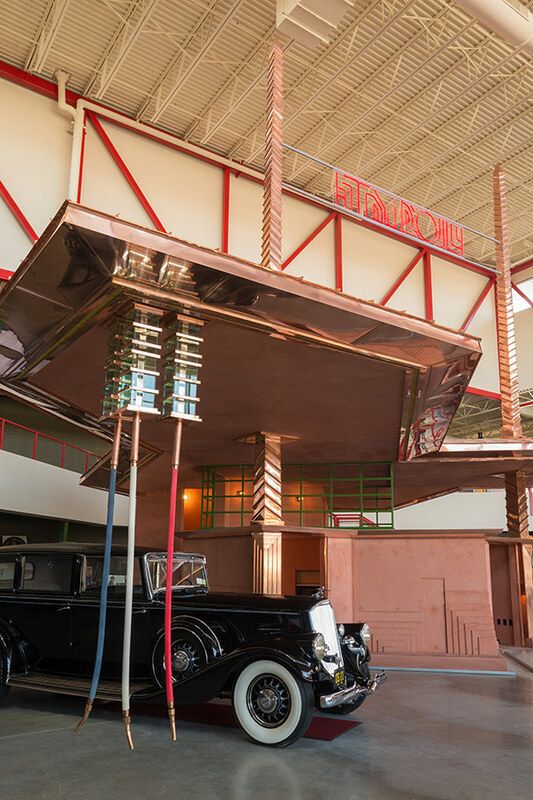 It is well-known that Frank Lloyd Wright was an automobile enthusiast, both foreseeing the prominence that this form of personal mobility would occupy in American life and, indeed, laying much of the foundation of how architecture might be designed for and around the car. 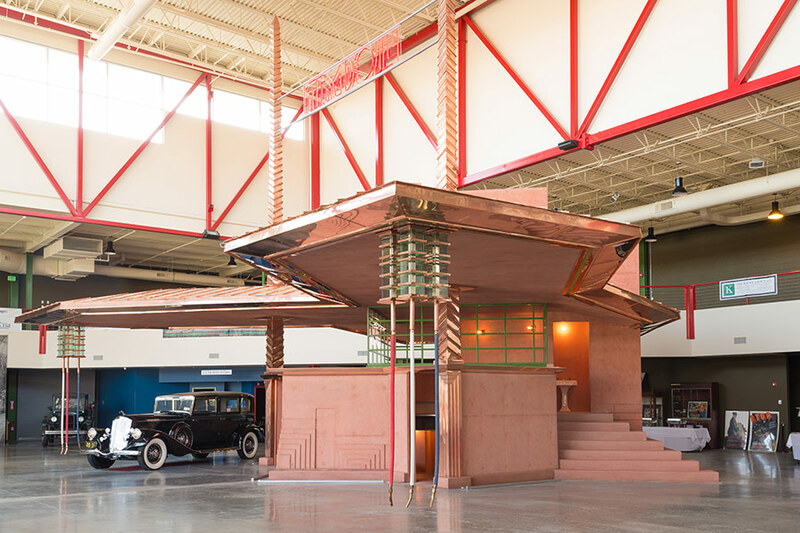 Less-known is the fact that in 1927 he designed a gas station for Buffalo, New York, which was never built—or never until very recently. 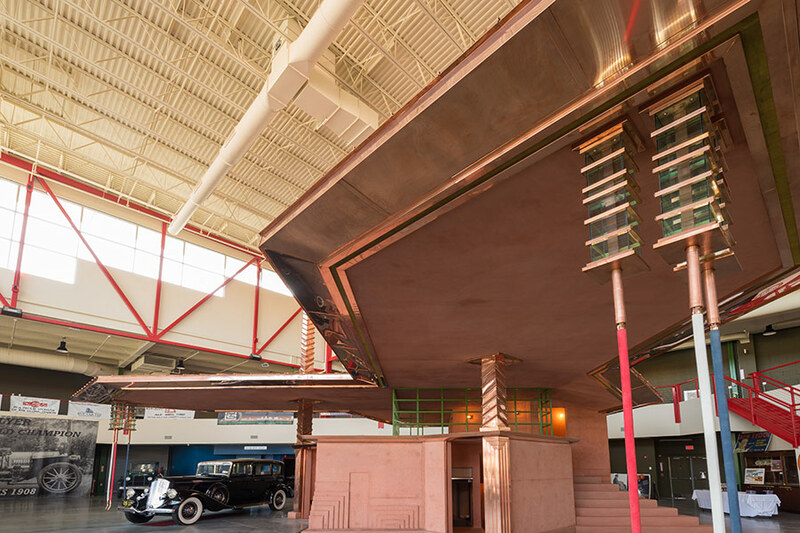 Nearly 90 years after its design, the Buffalo Transportation Pierce-Arrow Museum has constructed Wright’s vision of where Americans might fill their tanks. 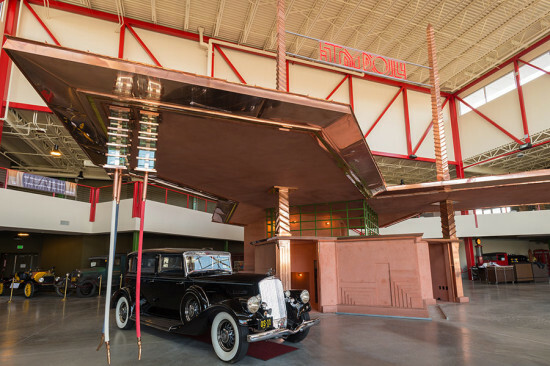 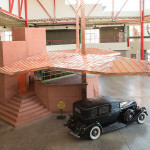 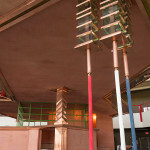 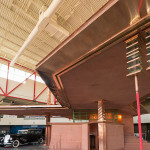 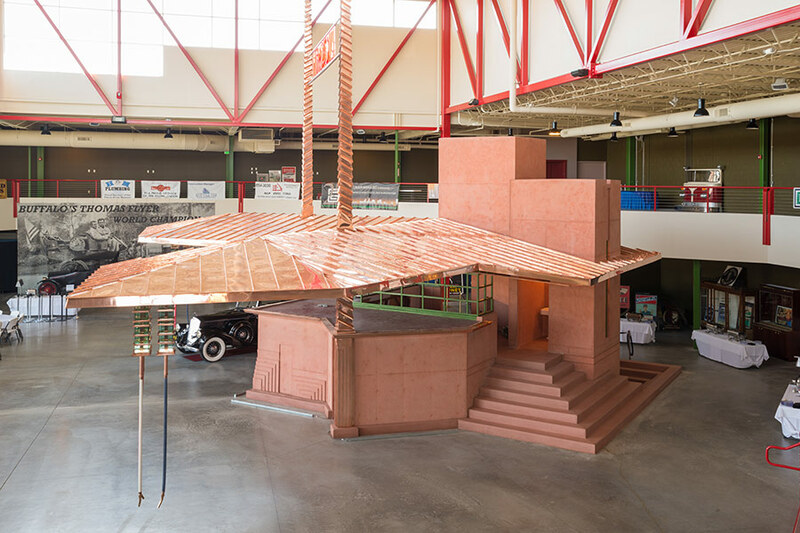 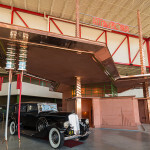 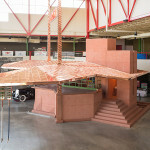 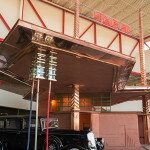 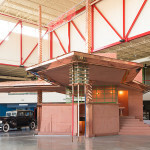 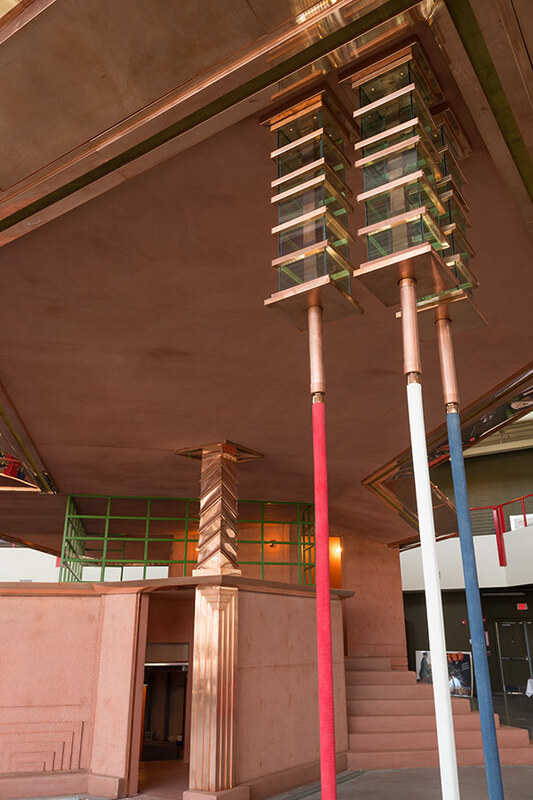 As of today, Friday, June 27, visitors to the museum will be able to experience Wright’s design first hand, a rather idealistic vision that imagines the gas station as a comfortable, enjoyable, even civilized destination. 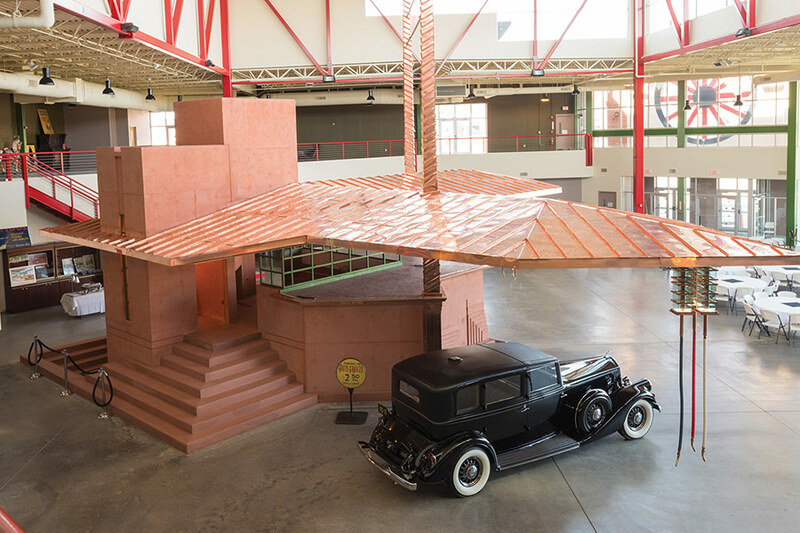 The two-story facility features an observation deck, copper roof, and gravity fed pumps. Buffalo Filling Station, as it is called, will remain on permanent view at the Pierce-Arrow, where it will join the museum’s extensive collection of historic automobiles, bicycles, and transportation memorabilia.